Here are some pictures of the early Parish Register pages. They show the style of old handwriting and the page format used. Forgive the resolution and contrast, its the best my scanner can do. 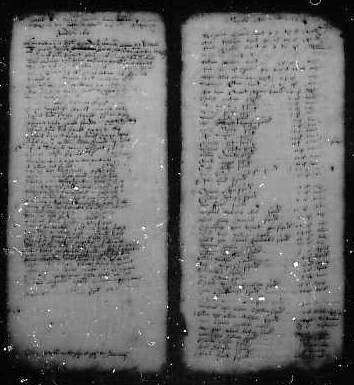 Wirksworth Register  (1608-1662) looks like. Its kept in the Derbyshire Record Office at Matlock.